The annual Hardwick Community Fair in Hardwick, Massachusetts is the oldest operating fair in the United States. Fair events and activities include cattle, sheep and rabbit judging, tennis tournaments, pony rides, farm babies, blacksmith and stone cutting exhibitions, sawmill and timber frame demos, road races, dance demonstrations, children´s parade and games, chicken barbecue, live entertainment, frog jumping contest, hay rides, agricultural and 4-H exhibits, art show, auction of exhibits. 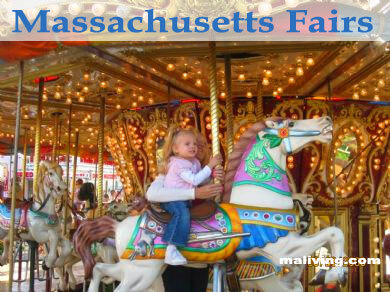 This is truly a not-to-be-missed Massachusetts fair.